Our bank accounts are indispensible assets to us. They help us to lead busy, productive lives. Every day millions of us use them to pay direct debits, store our money, borrow money, pay for food and numerous other tasks. Given the quiet but significant part they play in our lives, it is only sensible that we choose a bank account that is right for us. However, it’s also astonishing how many of us don’t, getting by with old accounts which are poorly suited to our specific needs. Changing banks is quite a simple process too. Almost all banks provide a service that quickly and easily opens or switches an account with them, taking your specific requirements into consideration. How can my account work for me? First of all, there are default accounts that many of us use for everyday transactions. These are often flexible and easy to manage, but they may not offer you the most competitive rates on interest, or any additional rewards or benefits. Many people don’t switch accounts because they feel it’s too much hassle, but there are other options. For example, you could keep your existing current account, but open others with more generous rates as well. 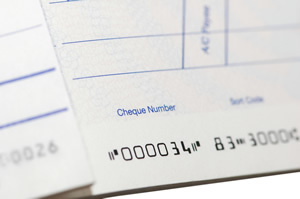 This way, you simply need to transfer money as appropriate, making use of the benefits on offer. What sort of account should I look for? When looking to open an account there are many things which you should look for. Interest rates are naturally an important feature but you need to see what else your account can do for you. The first thing to look at is any charges which you could face. It’s all very well knowing how much money your account can stand to give you on top of your investment but you need to be aware of how much they can take away too. This means evaluating charges for going overdrawn, for example. Always look at how these are calculated and seek sensible charges which won’t unfairly punish you if you find yourself slipping into the red. Of course, sliding into debt should never be encouraged but high charges for being overdrawn only increase the financial pressures you might face. You should also look for accounts which come with specific rewards. Some current account holders may get access to special rates or mortgage applications, for example – something which is perfect for those looking to take their first steps onto the property ladder. Many accounts even offer you a financial incentive for switching or opening an account, meaning you could have even more to gain. Always look for an account which boasts competitive interest rates and plenty of perks but remember to read the small print and understand what responsibilities you are expected to fulfil in order to qualify for this account. Ultimately, investing in the right bank account is important for many reasons – with your financial stability top of the list. 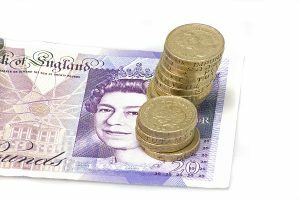 With economic problems still affecting the UK and other world economies, there has never been a more important time to save money. Whilst you may not be losing money by failing to update your account, you could be missing out on significant returns. For this reason, finding a bank account that matches your needs will allow you to benefit from all the perks open to you, without making any sacrifices: a win-win situation if ever there was one.